In West Norfolk local communities are working together and contributing to their flood defences in a new, efficient and innovative way. I work in the Flood and Coastal Risk Management team and part of our work is to review how flood risk is managed within our area. We work with other organisations to plan future projects as well as maintaining and updating our existing flood structures. Flood defences protect the east coast from the unpredictable North Sea. 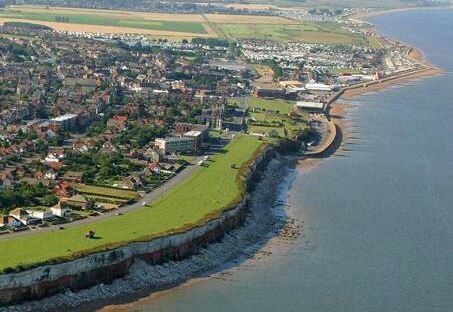 One of the areas we maintain is from south Hunstanton to south of Wolferton Creek in Norfolk. The defences help to reduce the risk of flooding to 642 residential properties and around 3,500 caravans and holiday homes. During the December 2013 tidal surge, these flood defences helped reduce the impact of flooding. The flood defences are a natural shingle ridge, backed by a grassed sea bank before tapering to a single hard defence at south Hunstanton. Each year the shingle ridge is eroded and the material is deposited further down the coast. This increases flood risk and if defences were to breach it could result in widespread flooding along the West Norfolk coast. These defences are costly to maintain. From 2017, the current funding that supports our team to complete the maintenance work, will no longer be available. To ensure the maintenance continues, local business man, Mike McDonnell, has set up a Community Interest Company (CIC) to contribute towards flood risk management work. Supported by the Borough Council of Kings Lynn & West Norfolk and the Environment Agency, the CIC is aiming to raise 75% of the funding with the remainder coming from government funding. Last year, 1 in 200 new companies was set up as a CIC. However this is one of the few that has been set up by a community to contribute towards flood risk management. The community directly benefit from the defences and want to influence flood risk management works in their area. 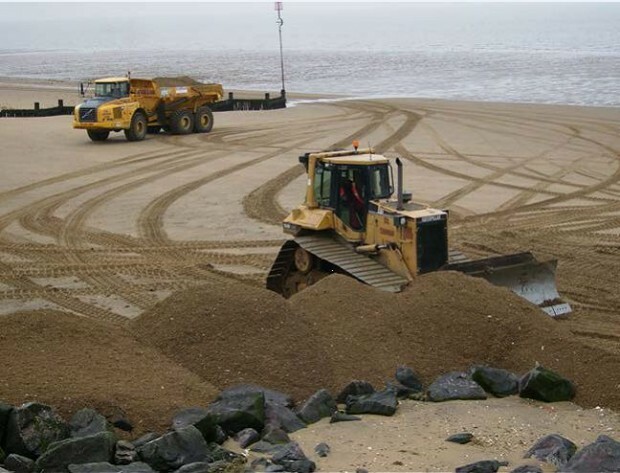 These contributions are then used for maintaining or improving the coastal defences. So what is the plan? In the short term the CIC will aim to replenish (replace the material lost to erosion) the shingle ridge annually, so the defence continues to protect the community from flooding. The longer term plan aims to improve the defences and increase the standard of protection to further reduce flood risk. This project demonstrates how local communities can influence their own flood risk. Working in partnership between communities, businesses and local authorities we can help better protect the local community from flooding for generations to come. What should be our national fish?